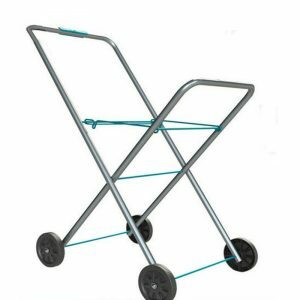 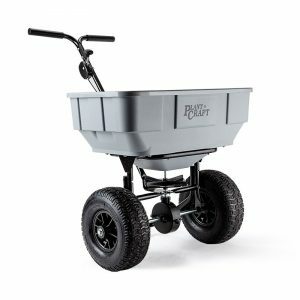 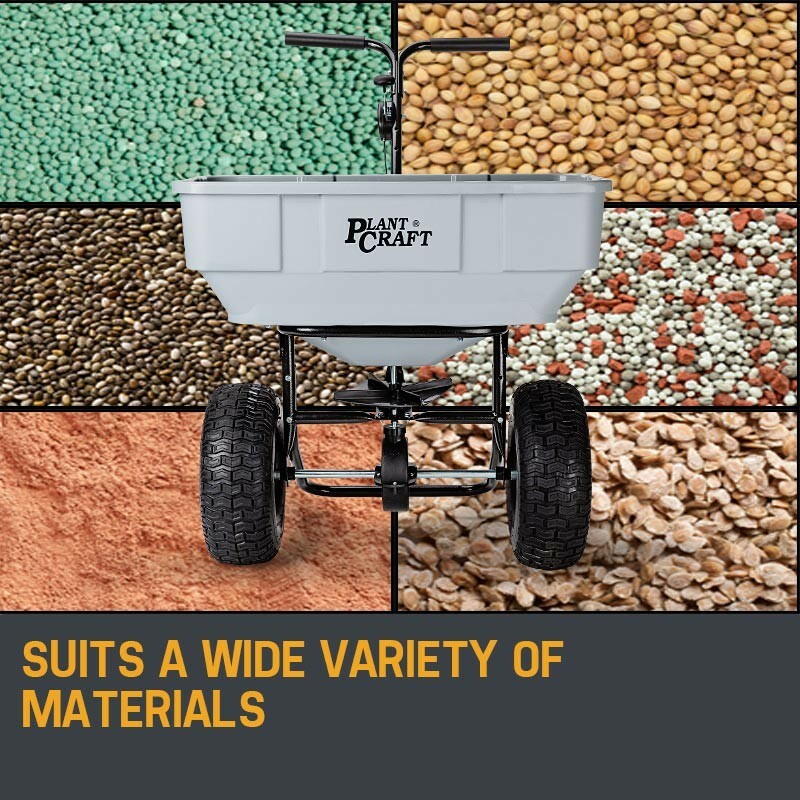 The PlantCraft Push/Tow Broadcast Spreader is designed to distribute a wide range of materials, and makes the tiresome task of spreading seeds and fertilizer a breeze! 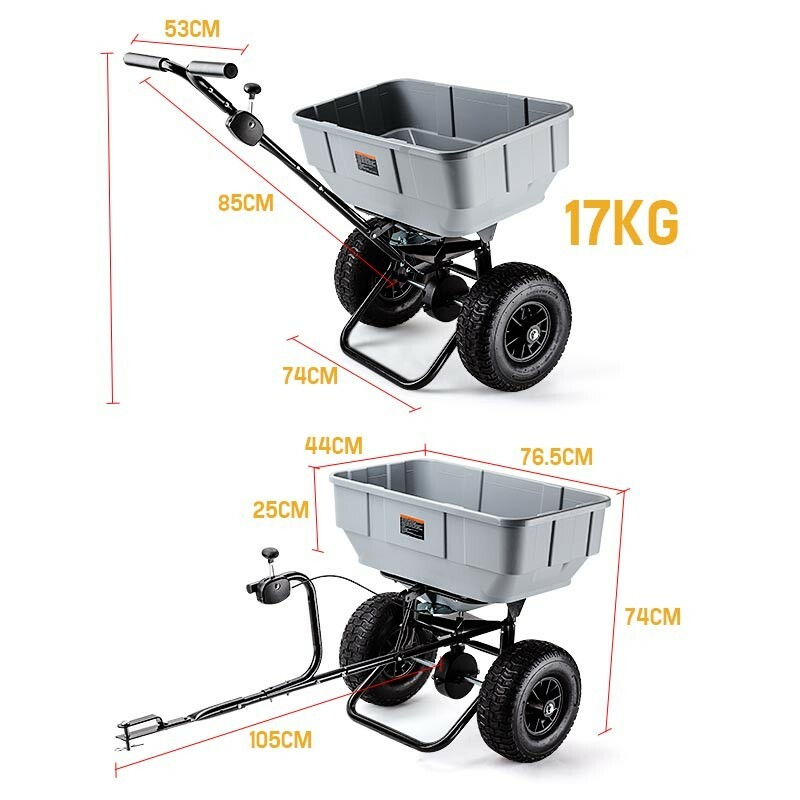 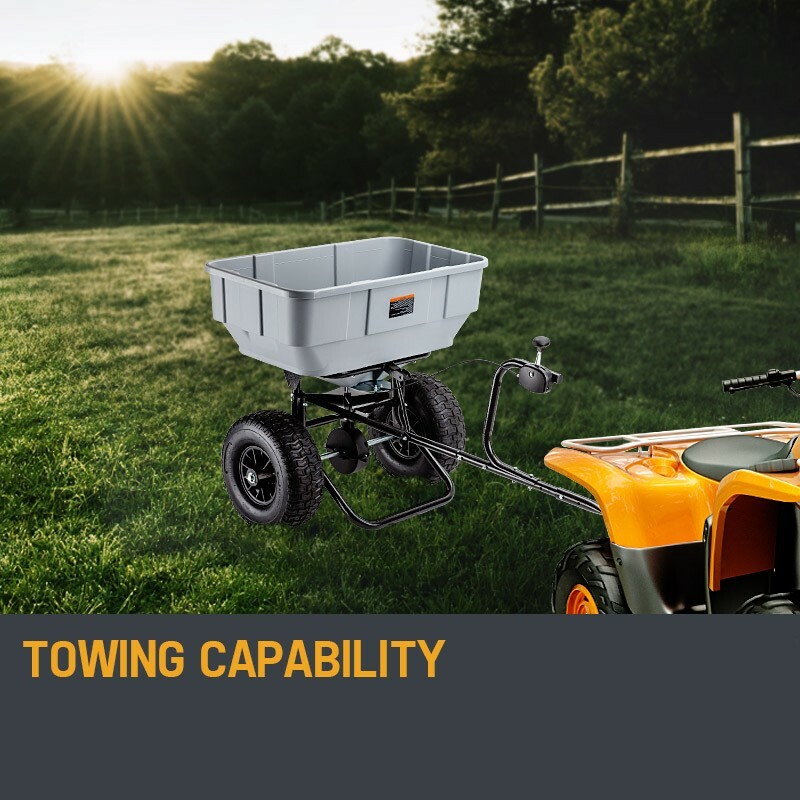 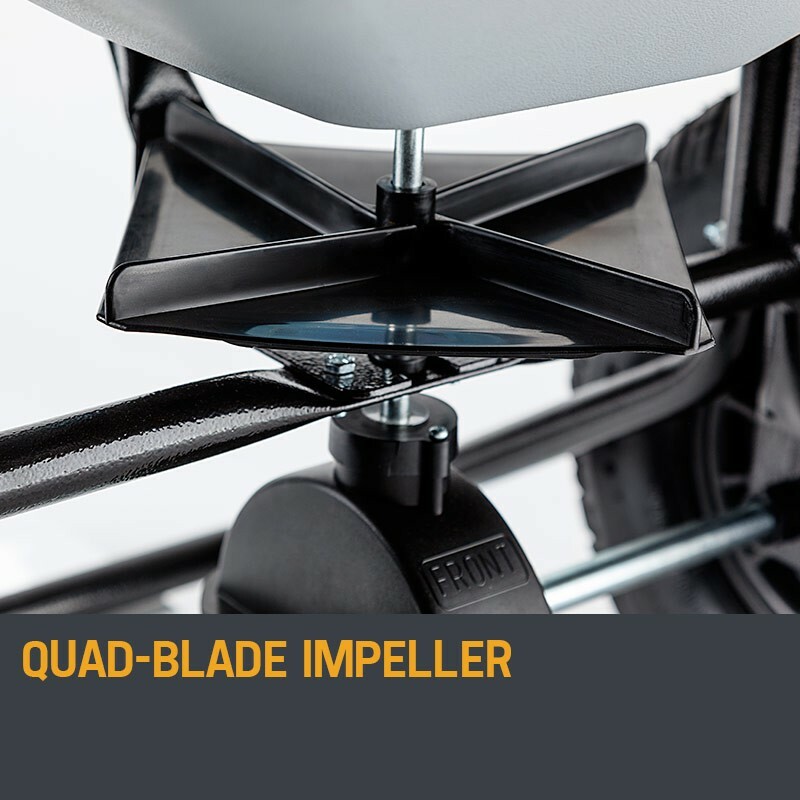 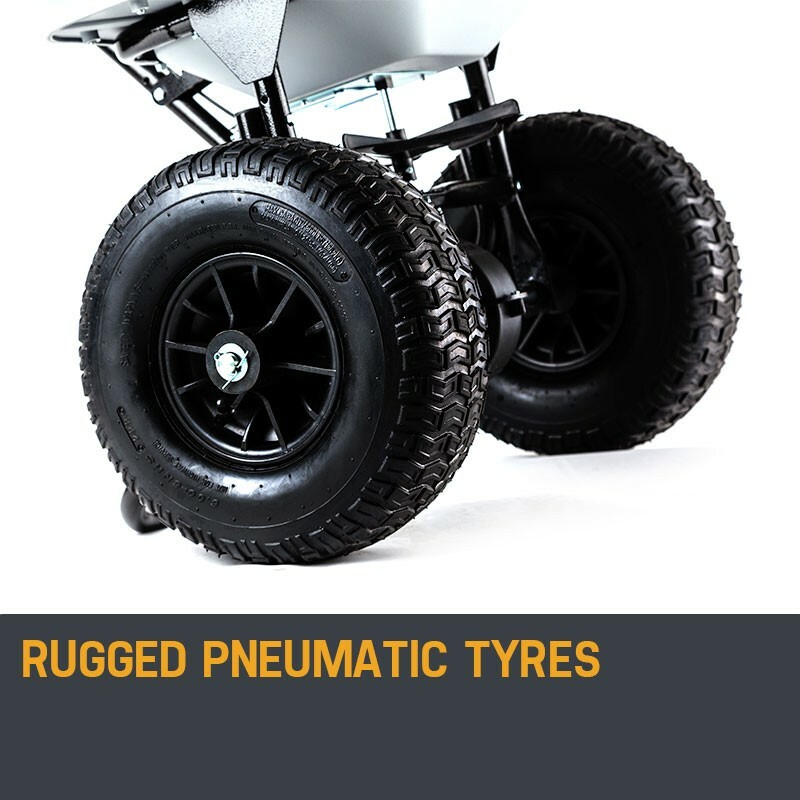 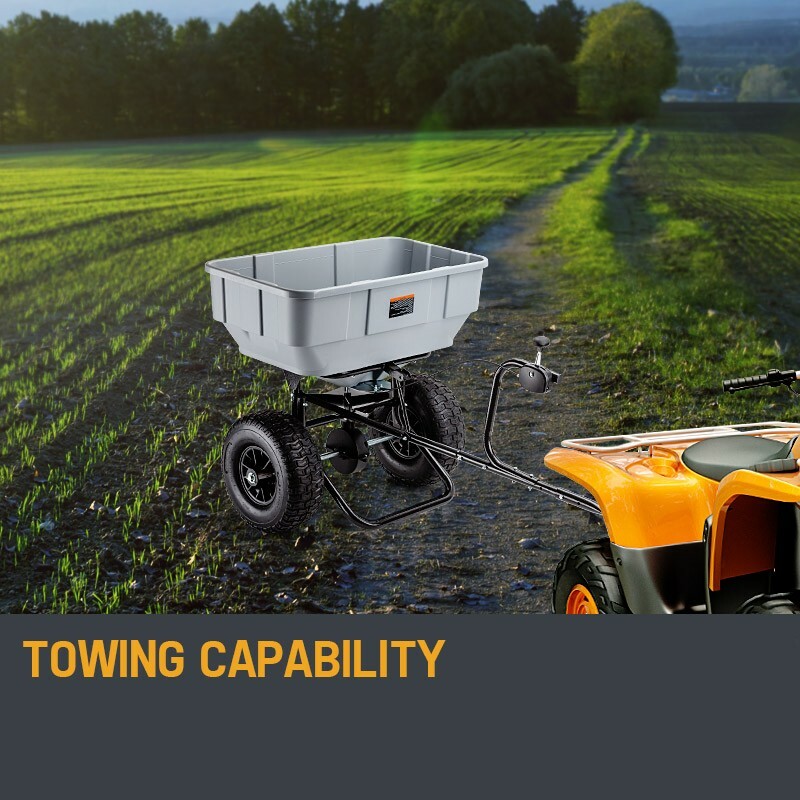 Equipped with a unique 2 in 1 design, it offers you the flexibility of either pushing the spreader by hand, or towing it with a suitable vehicle, such an ATV, ride-on mower or tractor. 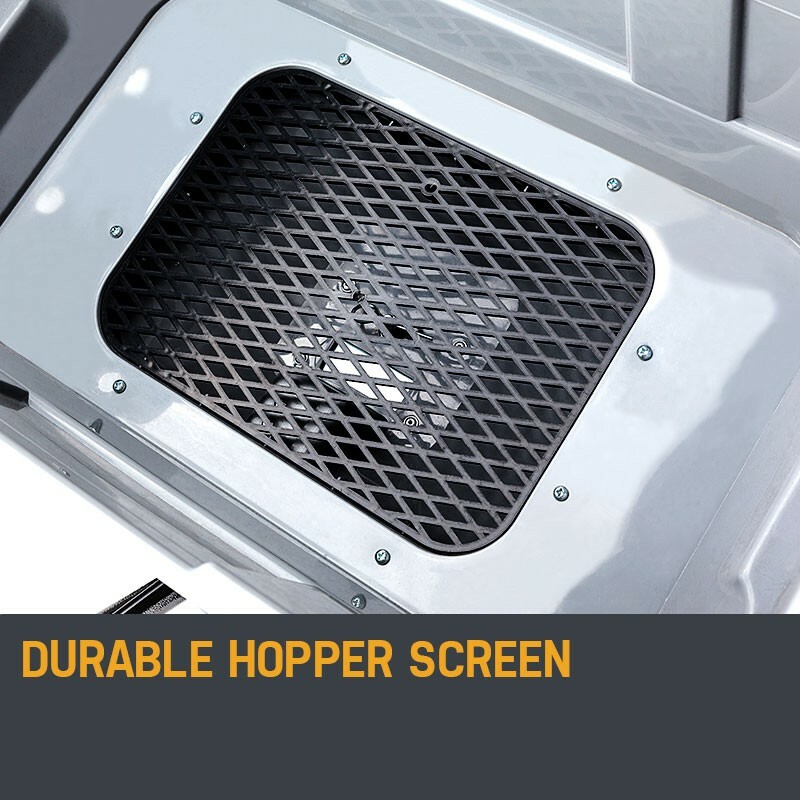 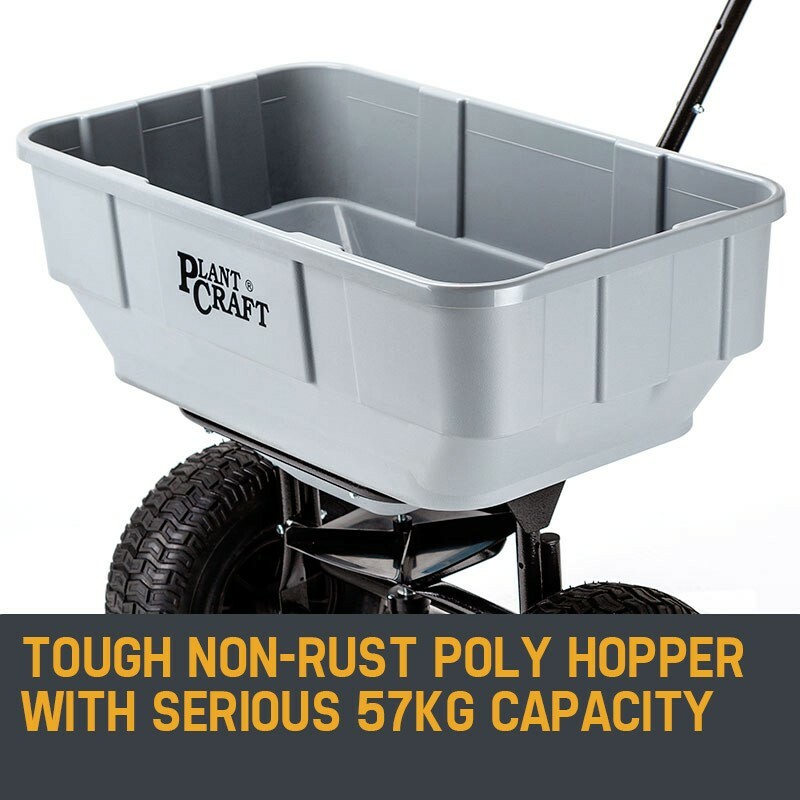 The rust-free 57kg hopper takes a good quantity of material, and has a screen to filter any unwanted clumps for consistency, and optimal distribution. 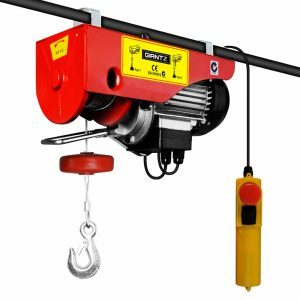 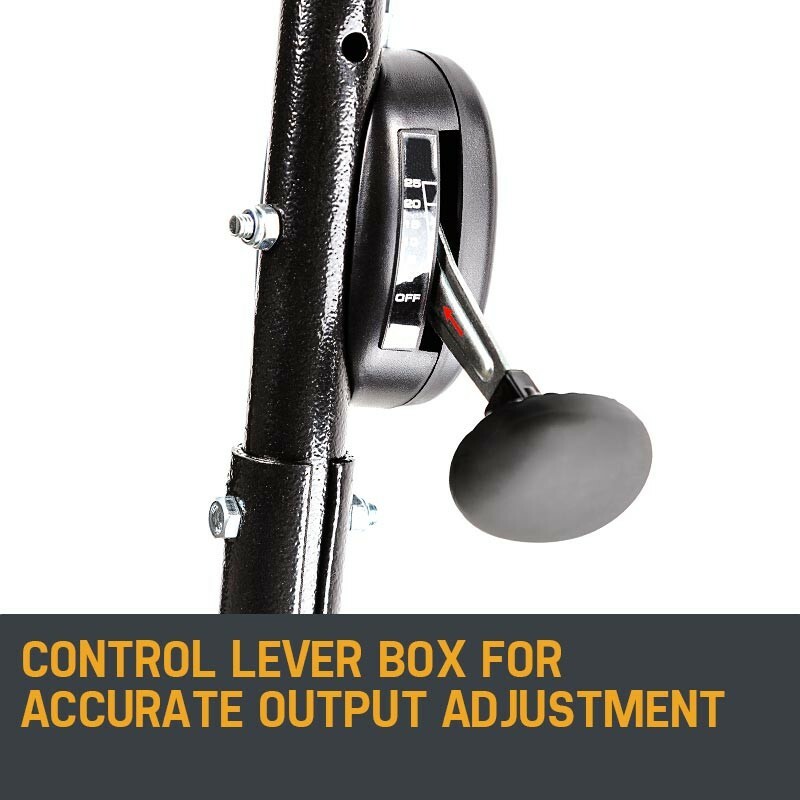 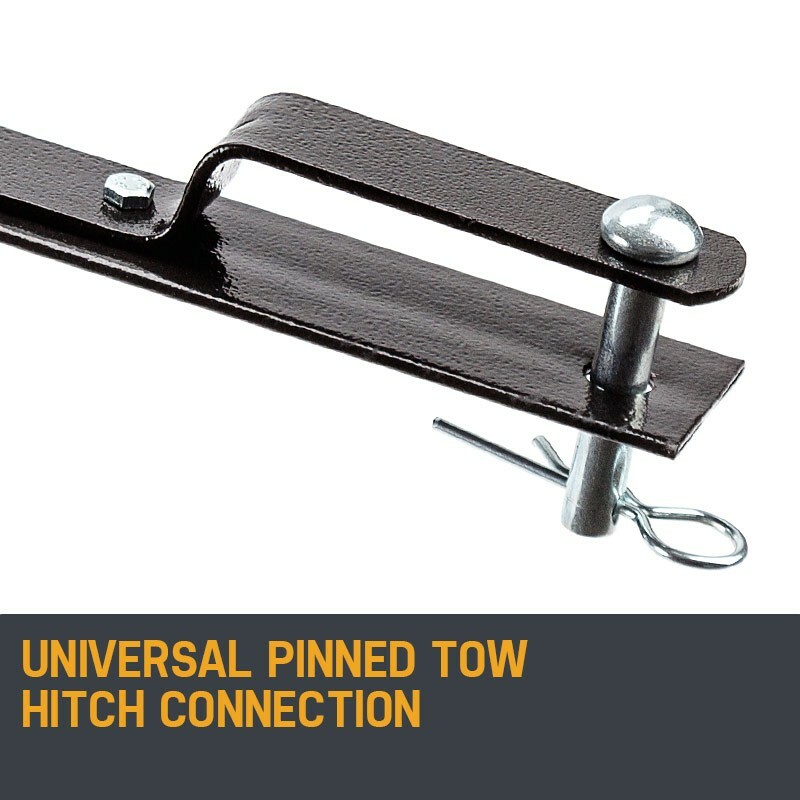 The convenient control lever box allows you to have complete control over the application rate. 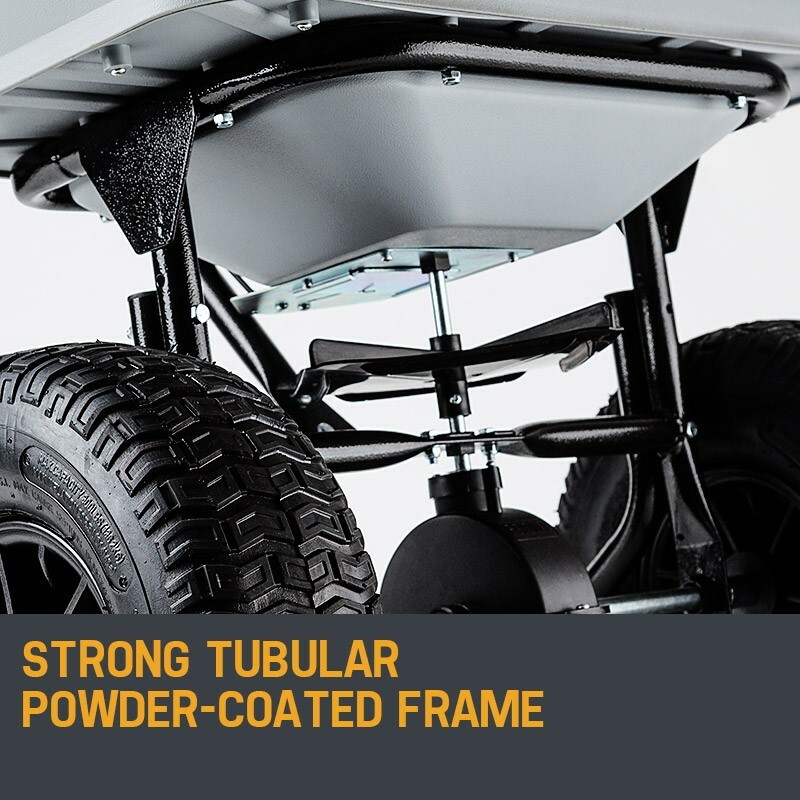 An even drop pattern is assured by the oversize 14” tires that glide over the terrain. 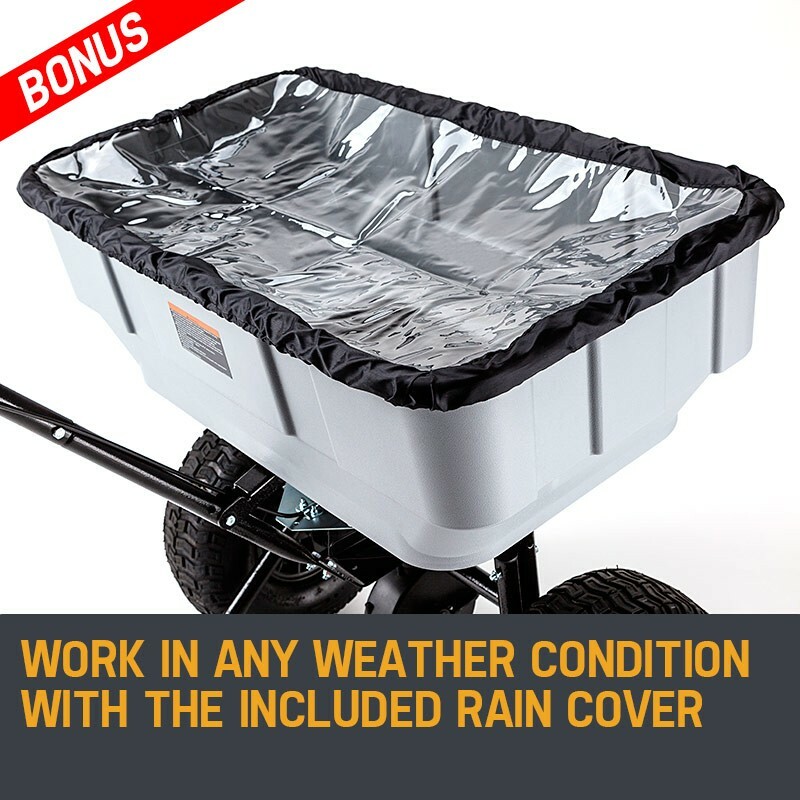 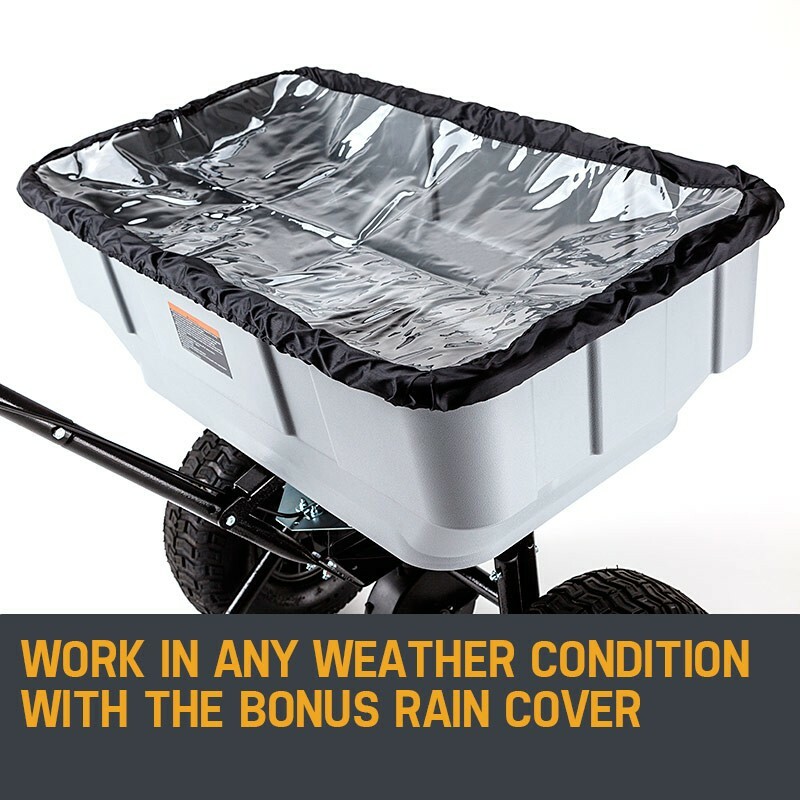 And with a BONUS rain cover, you can work in any weather conditions. 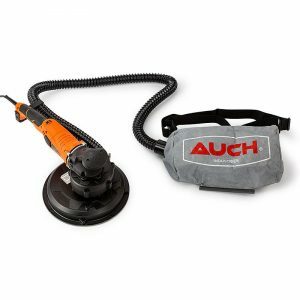 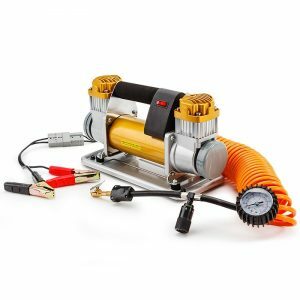 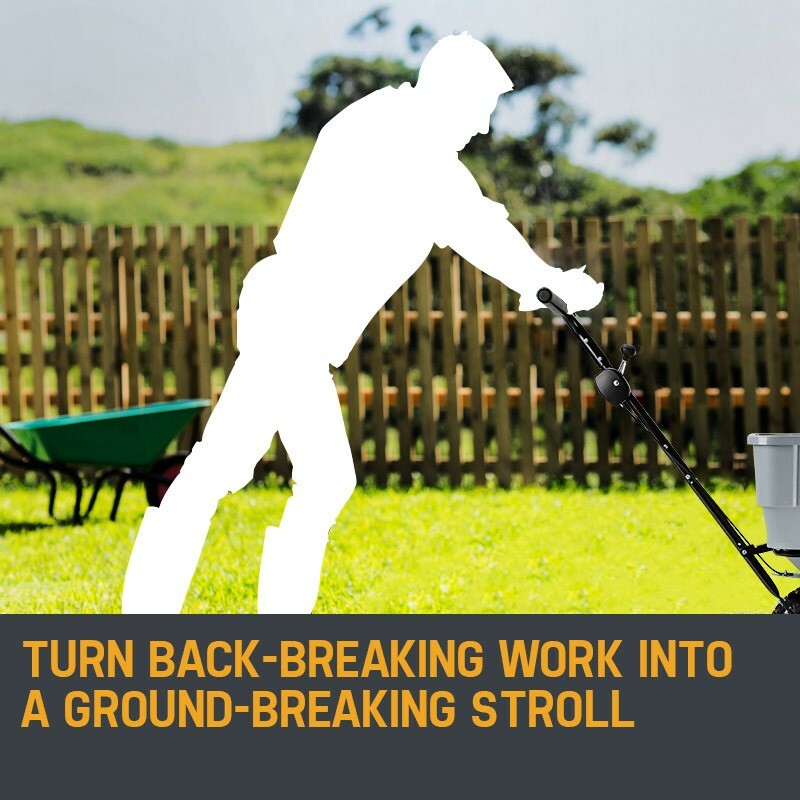 Maintaining rural properties and large gardens has never been so easy!